Putting together a knockout proposal can be instrumental in winning a project. 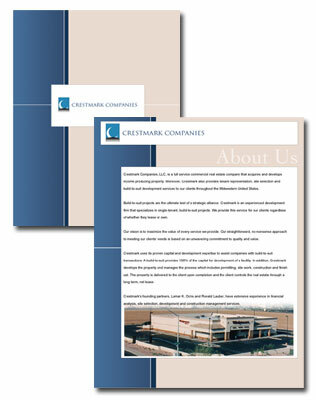 We have recently designed a set of branded “promotional pages”, for Crestmark Companies, which will be incoprporated into their proosals and give then a highly polished presentation. ← St Louis web designer tip of the week.